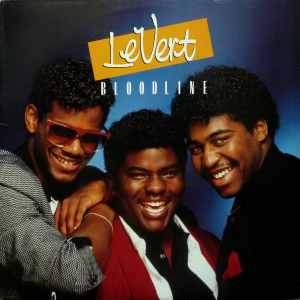 Comprised of Gerald and Sean Levert the sons of O’Jays founder Eddie Levert and childhood friend Marc Gordon, the original group LeVert was formed in Cleveland, Ohio in 1984. The group was a dominant force on the music charts and created a successful blueprint for urban male groups. The trio’s formula of combining soulful ballads and up-tempo beats with catchy hooks produced a dynamic catalog of music to be enjoyed for many years to come. On November 10, 2006, the music world lost a timeless voice with the death of Gerald Levert. Initially suspected as a heart attack, the official autopsy report conducted by the Cuyahoga County Coroner’s office concluded that the cause of Gerald’s death was a fatal combination of over-the-counter drugs and prescription narcotics. The report also stated that he also had pneumonia. His death was ruled accidental by acute intoxication. Gerald was only 40 years old. Another devastating blow came with the untimely death of Sean Levert on March 30, 2008. Sean died while in custody of the Cuyahoga County Sheriff’s Department. Sheriff’s department staff and medical personnel failed to provide Sean with his prescribed anti-anxiety medication – Xanax. A coroner’s report noted that Xanax withdrawal was the contributing factor in Sean’s death. Sean’s widow later sued and reached an out of court settlement of $4 million against the County and Midwest Medical Staffing. Sean’s death prompted legislation to be introduced in Ohio – House Bill 249, which is titled “Sean’s Law” and sponsored in the Ohio General Assembly by State Representative Barbara Boyd, D-Cleveland Heights. The passage of this bill would require every county jail to give inmates a medical, dental and mental health examination on arrival to the facility. An online petition has been created to send signatures to Rep. Boyd on behalf of Sean Levert. Click here to sign the petition. Over the past several years there has been an epidemic of celebrity deaths caused by prescription drug use. Many doctors will take on a celebrity as a client knowing full well that the client has a substance abuse problem. But because the person is a celebrity and they can get paid very good money, those doctors will accept them and continue to prescribe medications they know are not in the best interest of their patient.